The last time Cbus Chic caught up with Cliff Original, was when our Editor ran into founder Jared Friesner at an OSU “Movember” event last year. Before that, it was a feature about the barely one year-old men’s grooming product line. 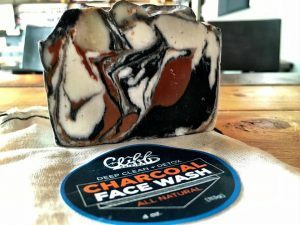 Since then, Cliff Original’s has grown into wide ranging grooming and skincare line, as well as a developing a presence as one of the small businesses in Columbus. We sat down with Cliff’s Creative Director Nathaniel Seevers to learn more about how the company has grown, what new products they’ve brewed up, plus a new partnership that’s making headlines. But rest assured, even with more women buying from them, their beard-specific products, like the beard oil and shave cream, are still some of their most popular items. Especially with local barbershops. “Most of the time, barbers don’t even need to apply an aftershave or lotion after they use the shave butter. It’s that great for the skin and the shave,” Seevers says. And it’s that dedication to quality product that’s led Cliff to a new partnership. Cliff’s will be the feature product line in the newly (and soon-to-open in January) Hotel LeVeque. When the renovated LeVeque Tower was looking into who they wanted to stock their hotel rooms, they decided that a local company was the way to go. And that local company is Cliff. “They could have gone with a huge – and national – company. But they decided to go with us. Which is great. It’s been a crazy time, but it just shows the kind of community Columbus is,” Seevers remarks. Cliff’s is excited to showcase their line when the Art Deco-inspired Hotel LeVeque opens this January. They’re also looking forward to launching some new products in 2017, like shampoo, another hair wax, plus some new collaborations in and outside Columbus. Stay tuned to what’s coming up for Cliff Original by visiting them online at www.clifforiginal.com. You can also follow them on Facebook, Twitter, and Instagram: @clifforiginal. 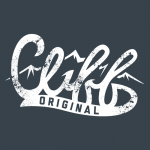 And be sure to read our first feature on Cliff Original and founder Jared Friesner by clicking here.